A parking lot adjacent to the AMC movie theater on Broad Street, which is the possible site of a new hotel, is seen on Wednesday, Aug. 22, 2018, in Chattanooga, Tenn. 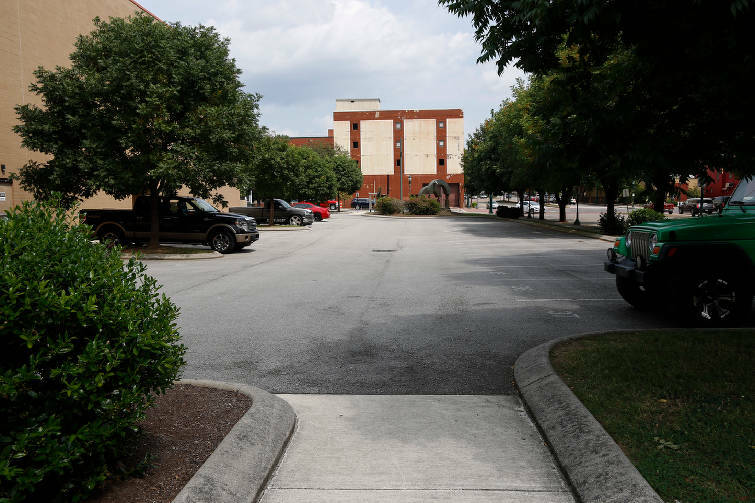 Ten hotel projects in downtown Chattanooga are either under construction or on the drawing board with news that more lodging is planned at a key gateway to the central city. If all the hotels are built, that would represent nearly 900 more rooms added to the downtown market. "People want options where they're staying," said Amy Donahue of the nonprofit downtown redevelopment group River City Co.
At Fourth and Chestnut streets just off U.S. Highway 27, River City has received four proposals to develop the parking lot adjacent to the AMC movie theater and all include a hotel piece, she said. "The riverfront is a great opportunity, especially on that block, for a hotel," said Donahue, director of marketing and communication for River City, which has a long-term lease on the three-quarter-acre parcel.
' The Edwin, 102 Walnut St.
' Moxy Hotel, 1220 King St.
' Hotel Indigo, 300 W. Sixth St.
' Bode: Chattanooga, 730 Chestnut St.
' Aloft Hotel, 736 Broad St.
' Tru by Hilton, Chestnut St.
' St. George Hotel site, 1445 Market St. In addition to a hotel, the site could hold other uses, she said. 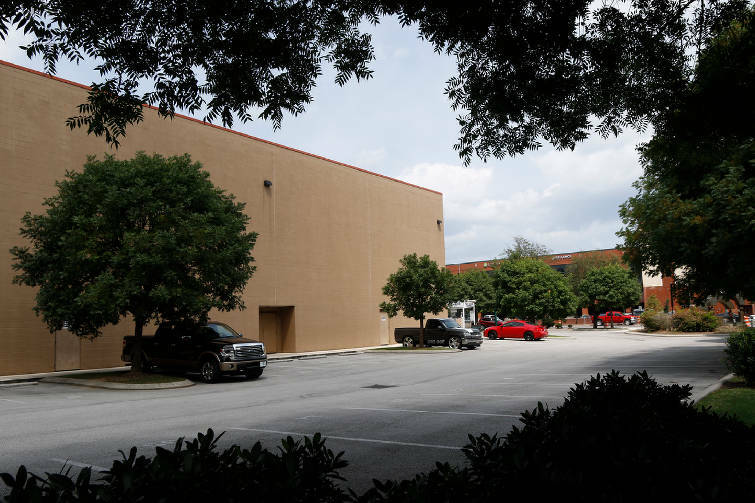 Donahue declined to go into specifics about the proposals, but River City earlier identified potential entertainment, retail and more uses for the parking lot. In May, River City issued a request to developers for ideas to remake the "L-shaped" parking lot on the block. The group is talking to the four finalists along with community members and the city's design studio, Donahue said. "We'll pick the best project," she said, which could take place before the end of the year. 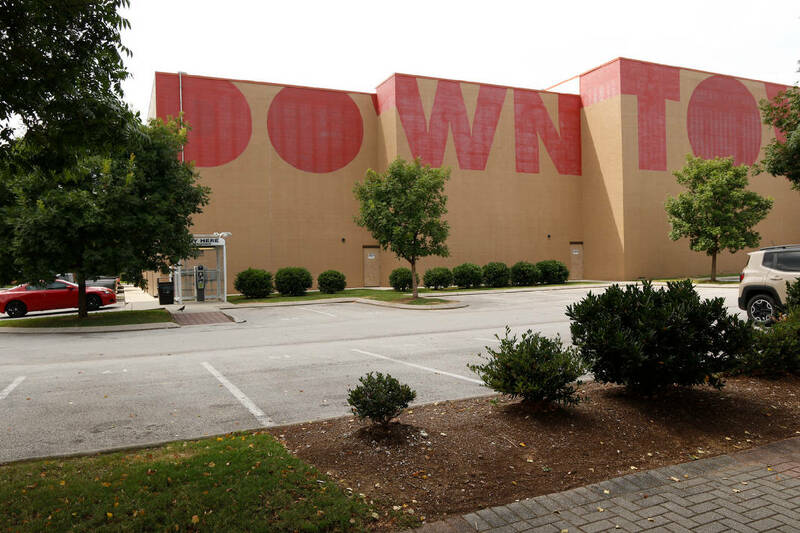 Downtown already has a pipeline full of developers wanting to put up more lodging space. In the former Clemons Building at 730 Chestnut St., a California group which bought the 100-year-old building earlier this year is proceeding with plans for a boutique hotel called Bode: Chattanooga. Philip Bates of TMC Group said last week that renovations are to start before Labor Day with the six-story building to have 100 hotel rooms. Two years ago, the building had been restored and turned into 54 apartment units by locally based ViaNova Development. For the Fourth and Chestnut property, a new hotel there is the second such proposal in the riverfront area. Late last year, a boutique hotel was proposed for the former Northside Lunch tract off Frazier Avenue next to the Walnut Street Bridge. Bob Cox of Cox Hotels said he wants to put a 21-room, four-level hotel estimated at $3 million on the narrow parcel. Last week, Cox said the project is in design, which should be completed in late September. "Afterwards, construction bids will be taken and with some luck, we may get underway before year's end. Completion is still in 2019," he said. Of the 10 hotels under development downtown, at least six, including the Frazier Avenue proposal, are calling themselves "boutique hotels." They tend to be smaller with upscale accommodations and unique selling points. Donahue said River City officials believe there's still room for more hotels in the central city. While the riverfront area is attractive, so are other parts of downtown, she said. Donahue said local officials are excited about the variety. "We didn't have that a couple of years ago," Donahue said. "They were great properties but were very similar." Dwayne Massengale, general manager at the planned $19 million, 108-room Moxy Hotel on downtown's Southside, said the lodging there will offer people something different. "It's perfect for the Southside," he said about the hotel that will be Marriott's first Moxy in the Southeast when it opens Nov. 1. "It's about the experience." Cox said his hotel will offer just 21 rooms along with a grill and bar, roof-top terrace and valet parking. "With the small number of guestrooms, we'll be able to provide highly personalized guest services and amenities," he said. "The goal is to offer a true boutique hotel that is owner operated, not chain affiliated, and provide a personal and positive guest experience on the North Shore." Cox said there's no doubt the market is getting crowded and competitive. But, his site is in a prime location, he said. "Being the only hotel on the North Shore, at least for now, and given our premier location adjacent to the Walnut Street bridge, Coolidge and Renaissance Parks, year-round festivals and river events, plus growing North Shore shopping and residents, it qualifies for the old success adage, 'location, location, location,'" Cox said. At the Fourth and Chestnut block, River City officials see the site as a gateway to downtown and the riverfront district. Estimates show that nearly 75,000 vehicles travel U.S. 27 by the Fourth Street intersection each day. More than 26,000 vehicles pass through the Fourth and Chestnut intersection daily, according to River City. River City expects to see some sort of construction to begin next year on the site. Also downtown, The Edwin hotel near the Walnut Street Bridge, on the south side of the Tennessee River, is slated to open this summer. In addition, the Read House hotel in undergoing a $20 million renovation at the landmark property downtown. Last year, a Westin hotel opened at Pine Street and M.L. King Boulevard. That 10-story, 260-room hotel in the renovated former BlueCross BlueShield of Tennessee headquarters was part of an $88 million makeover of what's become the West Village part of downtown.